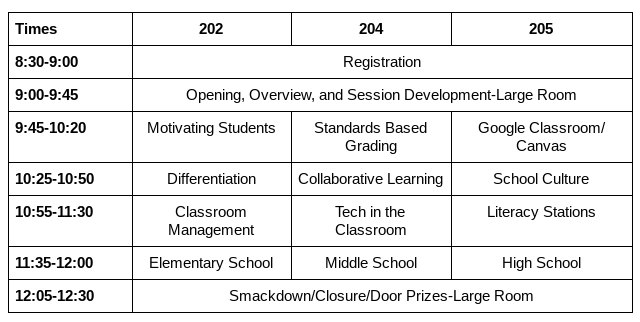 Topics will be decided on the Saturday morning of edcamp. The above chart are the topics that participants chose in 2017. Each edcamp each year is different. All participants will help create the topics that will be discussed.